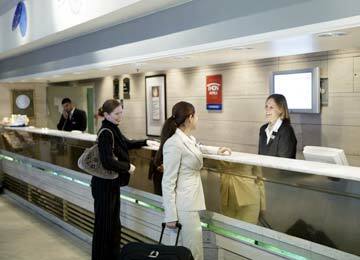 Although the hotel is outside the city centre, it offers good connections to the town and airport. This makes it an ideal choice for groups. 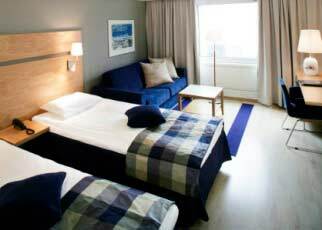 RY1005 The hotel is located close to the Oslofjord, about 9kms to the west of Oslo. 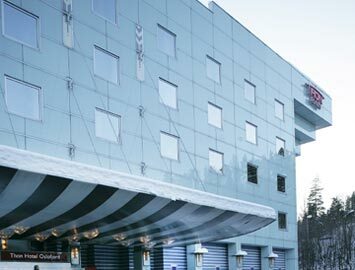 (a 15 minute drive) It is also near the main motorway linking Oslo with the rest of Norway. Gardamoen airport is a 45 minute drive. 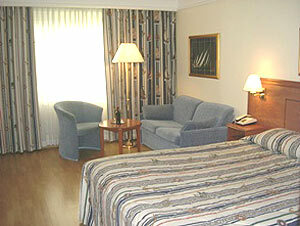 The rooms are large and decorated in pastel shades with modern facilities. They are all in very good condition, as are the bathrooms. 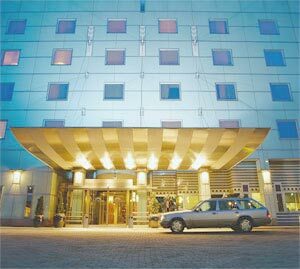 It is a modern, purpose-built hotel. 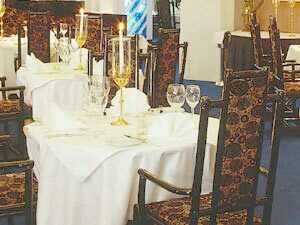 There are two restaurants situated on the ground floor, serving local and international dishes. 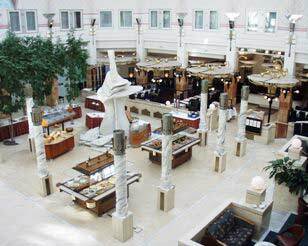 The lobby is very large and modern and built in an atrium style, with beige marble sculptures and ample seating. 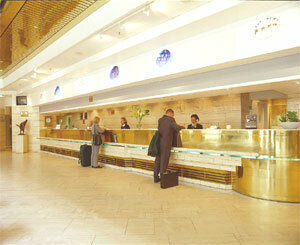 It has a very luxurious feel and is extremely spacious.